Can I use your theme on a test site, then move it to a live site when finished? If I need to use your theme on a second site, do I need a second license? Yes. One purchase of my theme allows you to use the theme on one finished site. 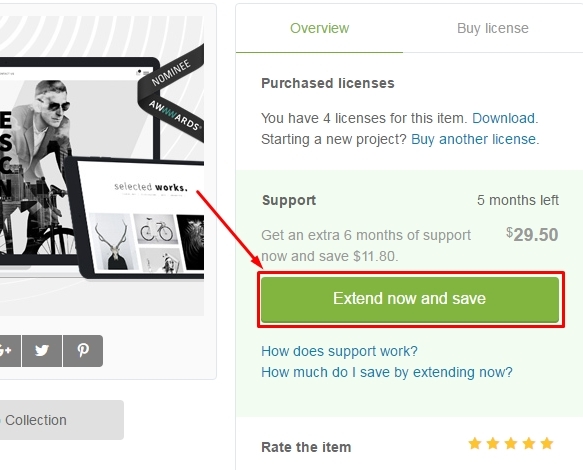 If you need to use it on a second site, it requires you to make a second license purchase. Can I modify the themes to fit my websites needs(personal)? Our support covers getting setup with the theme, theme related questions and bugs or issues that occur when using the theme. Customization can be any work you need done to the theme that is not covered by the scope of our support. In most cases, this is anything that falls outside of the options the theme offers. While we take custom projects occasionally most of the time we are busy working on new themes. However, the good news is that you will find plenty of quality developers and designers in the new Envato’s website – Envato Studio. Do your themes compatible with the latest version of WordPress? Yes, we make it a priority to always keep the themes up-to-date and working with the latest version of WordPress. So don’t worry about it. Does your themes work with plugins? How do i get in touch with you for a pre-purchase question? First of all we recommend you to check the Themeforest product detail page. We try to make this page as complete as we can, so you’ll find there description, features and live demo there. The theme is one of the best documented on Themeforest, it comes with instructions which guide you how to use the theme quicly, you can go to http://document.g5plus.net for details. G5Theme provides theme related support via our Help Desk(support forums), knowledgebase & video tutorials. We may request you information as: your account wordpress login and ftp details when needed. Our time support are Monday to Friday. During this time, we can generally provide feedback on any support queries within 6 – 14 hours, we will also commit to answer any queries during weekends and holidays within 24-36 hours. We understand that there is a fine line between what is considered support & modifications. So we will try help you with any type of query (support or modification), we cannot provide extensive help in terms of modifications. Technical support will thus take priority over modification support. If you need some feature not provided by G5Plus framework and the theme, feel free to contact us and we may include it in one of the future updates. Usually the popular requests take priority. You are eligible to renew or extend your support subscription if you have less than 6 months support remaining and the author is still supporting the item. The cost of purchasing support can vary according to the different periods of your subscription. For example, extending your support subscription while it’s still active costs less than renewing it when it has expired. To learn more about this, please read Envato’s ‘Extending and Renewing Item Support’ article found here. Step 2 – Locate Your Theme purchase. On there, you’ll see how many months of support you have remaining, and beside it there’s an ‘Extend Now’ link. Click here to view an example. Step 3 – Click the ‘Extend Now’ link, and it will redirect you to the Your Theme’s item page. Step 4 – Click the ‘Extend Now and Save’ button. The only thing that changes is that you will not be granted access to hands on support. You will however continue to receive theme updates that contain bug fixes, patches and new features and access to our online documentation, help files, video guides and the community forum.